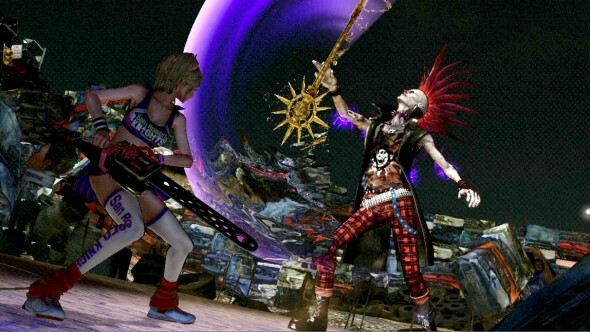 Lollipop Chainsaw is a game that I can sell to you with two names: Suda 51 and James Gunn. If you don’t know either of those names do yourself a favor and look up the former’s games and the latter’s movies. On a more serious level, this is a game that has gripped everybody’s imagination from the very announcement of just it’s NAME. Then the screenshots showed up. 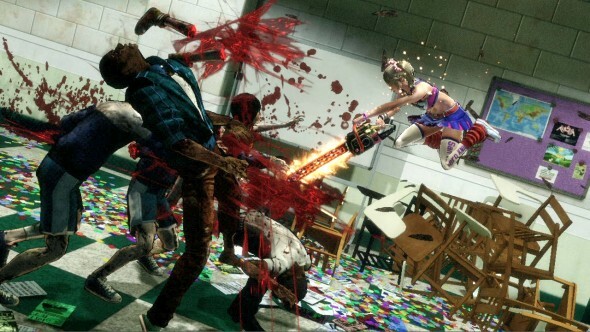 Everything about Lollipop Chainsaw is overwhelming with how awesome it is, and that’s before you even get to the gameplay. But now that we’ve done just that, is it still awesome? The short answer is yes. The long answer is HELL yes. The demo I played dumped us straight into the game, wasting no time on exposition. 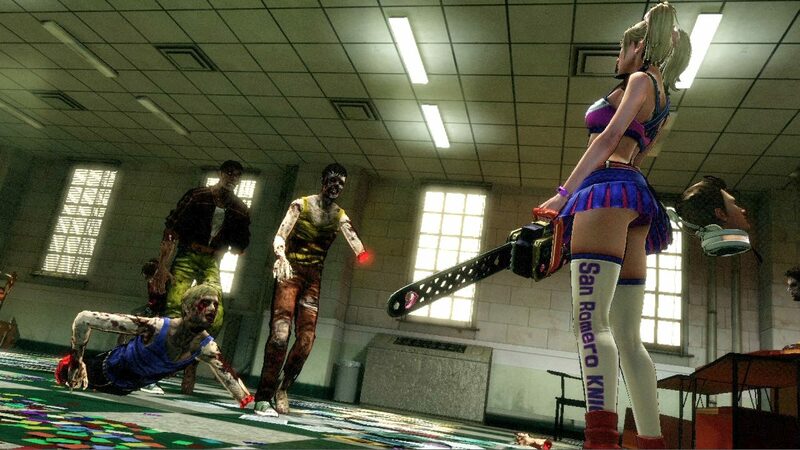 Standing in a room at the high school with her chainsaw in hand and a severed head attached to her belt, Juliet Starling was instantly attacked by a group of zombies and it was time to get to action. After a brief explanation of the controls I was lopping limbs off left and right and laughing like, well, a school girl the entire time. The controls are as simple as you would expect for this kind of quasi slash-em-up game, but also thankfully as fluid as you would expect. One button swings with the chainsaw which is of course your primary attack. Another uses Juliet’s pom-poms which while a lighter attack stuns a little bit more and can keep combos going easily. A third jumps over the enemy directly in front of you and the last face button attacks the ground. Combining these together is smooth and leads to some impressive looking combos. It takes a minute to adjust to everything, but it wasn’t long before I was figuring out all the button combos and doing all kinds of awesome looking takedowns. Few things are as satisfying as smacking a zombie with your pom-poms, leaping over their back and cutting them in half with a chainsaw. Lengthwise. From the bottom. After clearing the room of zombies we were introduced to Juliet’s teacher, Mr Fitzgibbons who would be making the first of many appearances in the demo. It was pointed out to me by one of the staff on hand that this name is a signature of James Gunn’s, and while not the same character the name appears in all of his works. I haven’t seen Slither in awhile but that was the name of the cop in Super, so I thought that was a nice touch. Of course, killing zombies isn’t all we would be doing. At one point I came across a scream civilian being attacked by a horde of zombies and was told I needed to save them. You can’t injure civilians, so with no need to exercise caution I went in swinging away. But I was still getting used to the controls, and just didn’t make it in time so they turned into a zombie. But something was different. They seemed to be glowing, and were faster than the regular zombies. Yes, if you don’t save innocent people they turn into “super” zombies, which are much harder to take down. This is an interesting mechanic, offering an incentive for rescuing them outside of the reward they’ll give you if you do happen to rescue them. While I mentioned earlier that the controls were very fluid, I did have one minor gripe with them. The low attack had a tendency to miss, or get interrupted while I was attacking from time to time. With this being the only way to dispatch the “crawler” zombies, it could get annoying if you had more than one of them on you. One thing I really appreciated about the game was how nice it looks. It might not have the most impressive graphics around, but the wonderful art style combined with the sharp and bright colors made for a delightful game to watch. Juliet’s attitude appropriately matched this brightness, and made for an entertaining game from beginning to end. The demo rounded out with a boss fight with Fitzgibbons, a group of zombies, and a couple of civilians needing saved. Things got a little hectic here in a very good way, and I can see these boss fights becoming quite intensive in the full game. I actually managed to save both of the civilians this time around saving myself the grief of a harder fight, and didn’t have too hard of a time taking down Fitzgibbons himself. 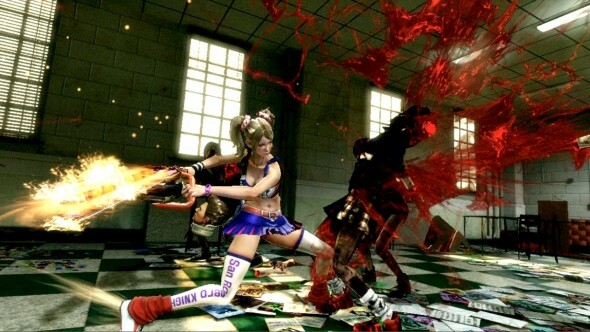 Of course this was an early demo and just a brief taste of things to come, but I have to say that so far I’m very impressed with Lollipop Chainsaw. I was sold early on just from the title and the names involved, but having played the game you can bet this is one I won’t be passing on. Capcom Gives Players New Super Street Fighter IV Box Art!